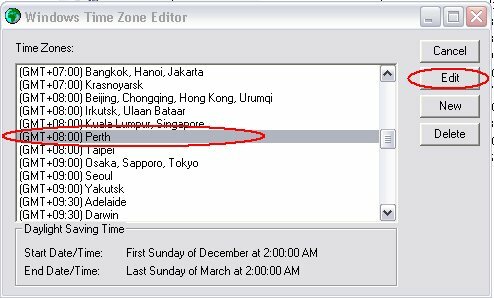 Change your timezone in Windows for stupid WA Daylight Saving time! 1. 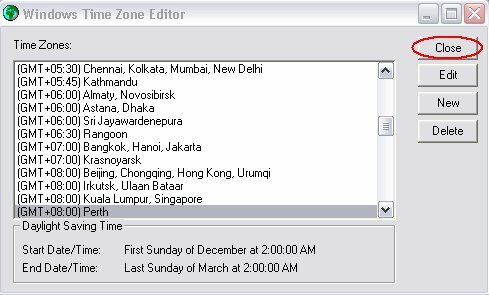 Get TimeZone Editor - Right click on name at left and save to desktop, or just click the link and then click "RUN". 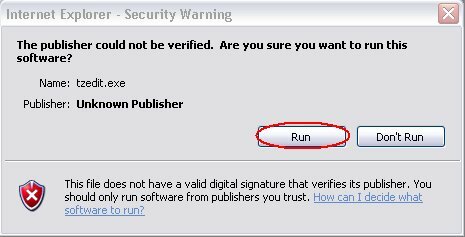 You might get a Windows securtiy message - so click "RUN" in this case. 2. 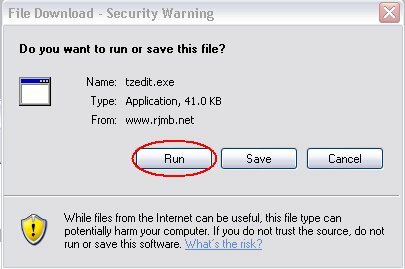 After running the program or clicking on TZEdit.exe -. 3. Select "(GMT+8:00) Perth" from the list and click "EDIT"
4. Fill out the Daylight Saving time details for this year. Then click "OK"
6. 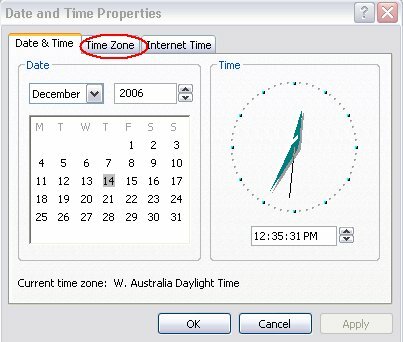 Go to the clock on your desktop taskbar and right-click on it, select "Adjust Date/Time"
7. 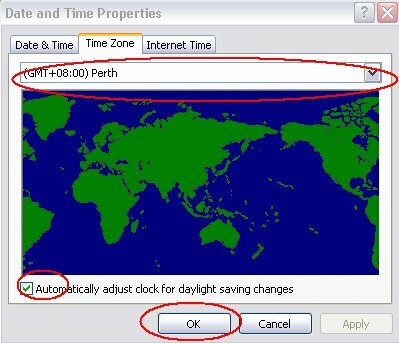 Click "TimeZone" then select another TimeZone and then "(GMT+8:00) Perth" again. 8. 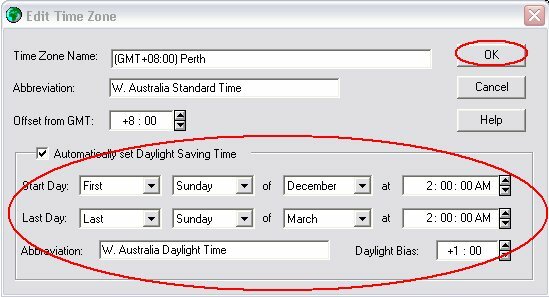 Voila... your clock now adjusts according to daylight savings - for this year. You'll have to re-edit the settings next year to start WDST at a different time. (c)2006 rjmb.net. Some graphics captured by JM using Printkey.